The environmental solution to drain maintenance. 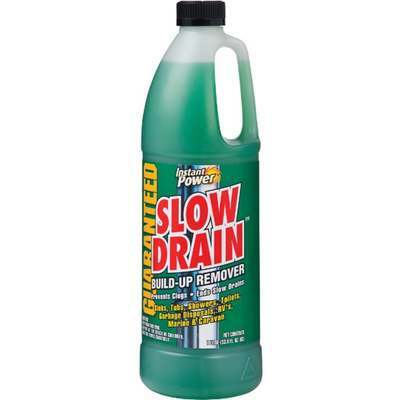 Clears slow drains, prevents clogs, dissolves grease, soap, food, and more. Controls odors. Use in sinks, tubs, showers, toilets, disposals, RVs, and Marine vehicles. Contains billions of enzyme producing organisms that digest and breakup years of drain clogging deposits. Eliminates the source of foul odors. Safe for use with septic systems. Use 16 Oz. monthly.